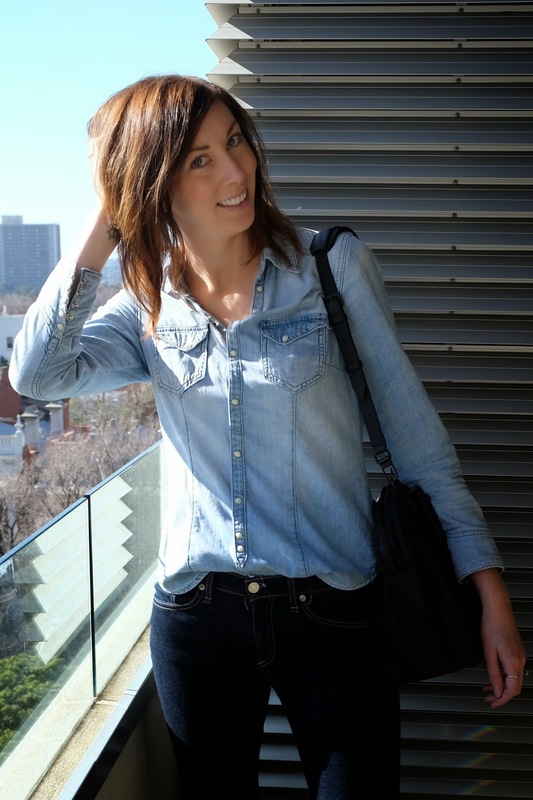 Simple weekend style…you can’t go wrong with double denim! The key to pulling off this look is ensuring your two denim pieces are different shades of denim, and the two shades compliment each other. I find this the simplest double denim formula, dark indigo on the bottom and a lighter bleached denim on top. Teamed with a pair of sophisticated flats, these leopard print loafers pull the look together and give it a polished edge. A black shoulder bag finishes off this ensemble adding to both the casual and preppy elements of the outfit. All that’s left to do is soak up these amazing winter rays and enjoy the weekend!